Both the Liberals and Conservatives are hoping for gains in British Columbia in this year's federal election. They'll need them. 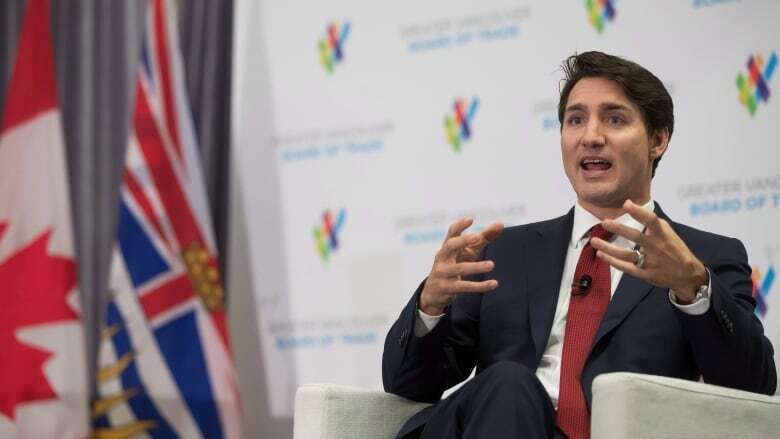 Prime Minister Justin Trudeau is in British Columbia today, a province that could play a significant role in a Liberal victory in October's federal election — or form an integral part of a path to government for Andrew Scheer's Conservatives. Trudeau is in Kamloops to speak at two separate events: a party fundraiser and a town hall with local citizens. The visit puts him far from the scene of two pending byelection contests in the ridings of Burnaby South in the Greater Vancouver region and Nanaimo–Ladysmith on Vancouver Island. But those are just two of the many electoral battlegrounds dotted across the province. The Liberals won 17 seats in B.C. in the 2015 federal election and picked up another from the Conservatives in a byelection in 2017. The New Democrats took 14 seats, the Conservatives held on to 10 and the Greens retained one (leader Elizabeth May's seat in Saanich–Gulf Islands). Support hasn't shifted dramatically in the province since the last vote. The CBC Poll Tracker, an aggregation of all publicly available polls, puts the Liberals at 34 per cent support in B.C., down one point since 2015. The Conservatives sit at 32 per cent, a gain of just two points, while the New Democrats have slipped three points to 23 per cent. At nine per cent, the Greens are up marginally over 2015. Maxime Bernier's People's Party, at just under one per cent support, has not had much of an impact. The trend line has been generally flat in B.C. for some time, with each of the parties wobbling back and forth around their 2015 benchmarks. But the province has become more competitive in recent weeks. The Liberals generally scored between 35 and 37 per cent in the province last fall and enjoyed a seven to 10-point lead over the Conservatives. They have now dipped below the 35 per cent mark as Conservative support spikes. Whether this is a blip or a real trend remains to be seen — the two parties were also in a close race throughout the spring and summer of last year — but B.C. already had a significant number of potentially close races before the margin closed between the two parties. The Poll Tracker currently projects that the Conservatives are now in a position to win 17 seats in B.C., with the Liberals down to 15 and the NDP down to nine. May is projected to hold her seat of Saanich–Gulf Islands. But many seats are in play. The projection model suggests the Liberals are in the running in as many as 22 ridings, with only nine seats considered relatively safe. The Conservatives' range is from nine to 26 seats and the NDP's range is from three to 16. For the Liberals, this means that B.C. is one of the few regions of the country where the party has some prospect for gains. 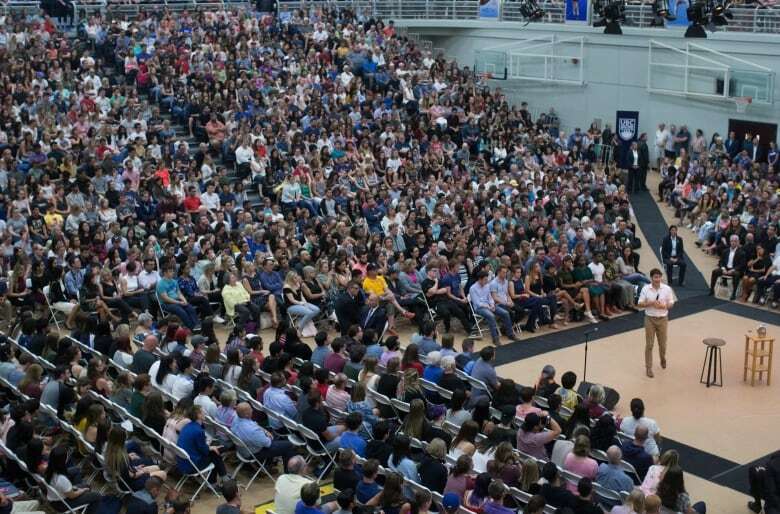 They could emerge with fewer seats even in the current polling environment, but they could also win a few more. That would go a long way toward compensating for losses the party is poised to suffer in Alberta, the Prairies, Ontario and Atlantic Canada. Only in Quebec do the Liberals look likely to gain seats, but Quebec alone might not be enough to secure enough new seats for Trudeau to hold on to his majority government. That's where B.C. comes in. For Scheer and the Conservatives, B.C. is one of the provinces offering the best prospects for gains based on where the polls stand today. And the party will need them; any election that results in a Conservative win will feature a significant contingent of Conservative MPs from B.C. 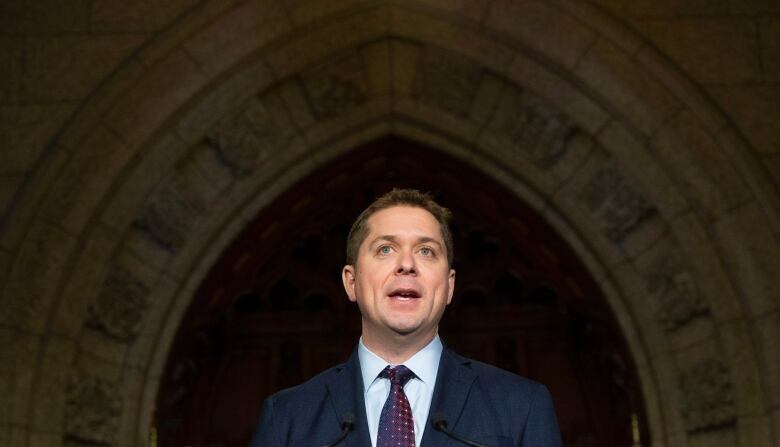 Without doubling his party's representation on the West Coast, Scheer is unlikely to reach the 170 seats required for a majority government. British Columbia is also the province where the NDP has its highest rate of support. After Quebec, where the party has sagged, B.C. is home to the largest number of its MPs. NDP Leader Jagmeet Singh is relying on B.C. to give him a seat in the House of Commons in Burnaby South's upcoming byelection — but he's also counting on the province to make up for some of his party's expected losses in Quebec. Though the Liberals are polling more strongly in the Vancouver region — a Mainstreet Research poll in the fall gave the party a 12-point edge over the Conservatives there — they also have some opportunities in the B.C. Interior. So Trudeau's visit to Kamloops is no coincidence. The riding of Kamloops–Thompson–Cariboo was won by Conservative MP Cathy McLeod by 4.8 points over the Liberal candidate, who finished third in a tight three-way race in 2015. Kamloops itself was primarily a NDP-Liberal battleground in 2015, while the Conservatives dominated the rest of the sprawling riding. Winning over some of those NDP votes in Kamloops would help deliver the riding to Trudeau in October. The neighbouring riding of Central Okanagan–Similkameen–Nicola was won by the Conservatives by just 2.4 points, putting it high on the list of potential Liberal gains in B.C. Only Burnaby South, won by the NDP's Kennedy Stewart by just 1.2 points, ranks more highly as a Liberal prospect. As many as 13 of British Columbia's 42 ridings are considered toss-ups by the Poll Tracker's projection model at this point, with the Liberals looking to gain at the NDP's expense in Greater Vancouver and on Vancouver Island. The Conservatives are in the running to pluck both Liberal and NDP seats in the southern interior and the Fraser Valley — the latter region a key target for Scheer's Conservatives. Though the Greens have slipped in the polls over the last few weeks, they could also make some noise on Vancouver Island. An early test of the federal party's Island support could come in the Nanaimo–Ladysmith byelection. But British Columbia is not merely a province that could shape the outcome of the federal election — it could be a focal point for some of its key debates. Tuesday was a stark reminder of that, as protests in Ottawa that followed arrests by the RCMP at the Gidimt'en camp in northern B.C. forced the prime minister to move the location of a speech to Indigenous leaders. Though this particular action was not related to the Trans Mountain pipeline expansion, B.C. is ground zero for opposition to that project as well. Much of the opposition comes from Indigenous groups in the province (though, as is the case for British Columbians as a whole, that opposition is far from unanimous). That's a complicating factor for a government that says it wants to build pipelines while fostering a new relationship with Canada's Indigenous peoples — and to appeal to B.C. progressives who want action on climate change and protection for the province's vulnerable coasts. So today's visit to Kamloops is just the start for the prime minister. Expect to see him — and his opposition rivals — in British Columbia a lot more throughout 2019.